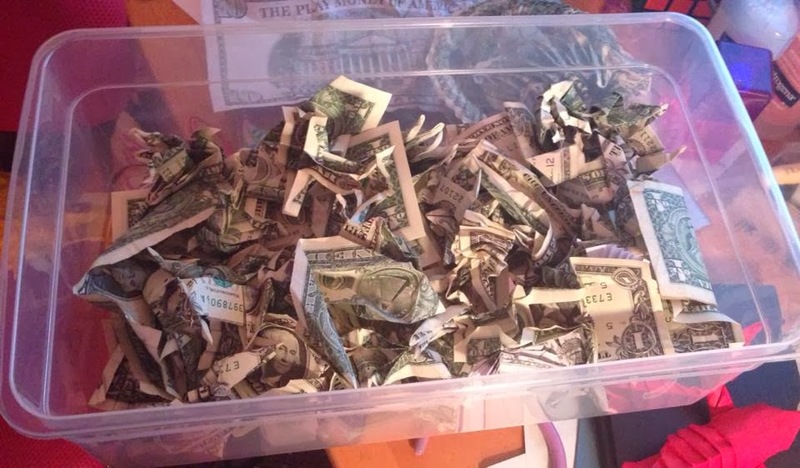 Anyone want to guess how much money is in there? I would spend it all on a really nice Christmas present to yourself. You certainly deserve it! Great blog and collection of bill designs! I have a box like that....I can't bring myself to 'flatten' them... Love your work!